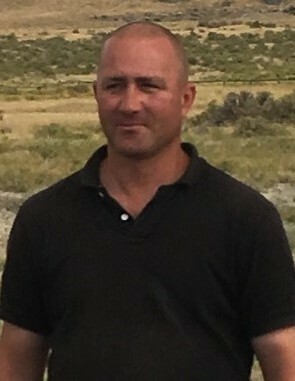 In memory of Randy Terry Power, age 38, passed away at his father’s house in Stansbury Park, Utah on January 28, 2019. Randy was born on September 16, 1980 in Price, Utah to Terry Power and Terry Ann Mitcheson Power. He was the youngest in the family of six children. Randy spent most of his younger days in Price and loved playing baseball. He also liked fishing and hiking. After moving to Salt Lake City and attending Granite High School, Randy worked at many jobs. He spent several years working as a directional driller and several years as an apartment maintenance man. Randy found humor in everyday things and always had a funny story to tell. He had a big heart and was loved by all that got to know him. Randy is survived by his daughter Ciera Powell Power, his father Terry Dale Power and five siblings; Daniel Power, Angela Higuchi, Althea Sandoval, Jason Power, and Greg Power. Randy’s mother, Terry Ann Mitcheson Power, preceded him in death. Funeral services will be held at 2:00pm on February 8, 2019 at Tate Mortuary, 110 South Main Street, in Tooele, Utah.